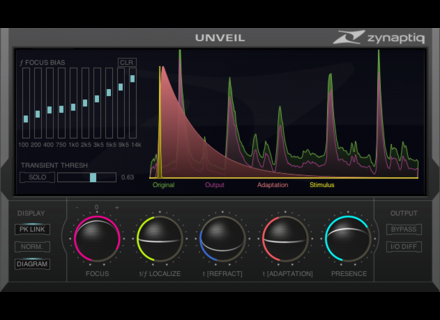 Unveil, Audio restauration software from Zynaptiq. Zynaptiq will show at NAMM 2013 the new features brought by the v1.6 update of the De-Reverberation and processing Unveil plug-in. Registered users that have opted in to notification will receive the download URL per email as soon as the update is released (scheduled for February 15th). More info on www.zynaptiq.com/unveil/. Zynaptiq will be showing v1.6 at NAMM (Hall A, Booth #6224). 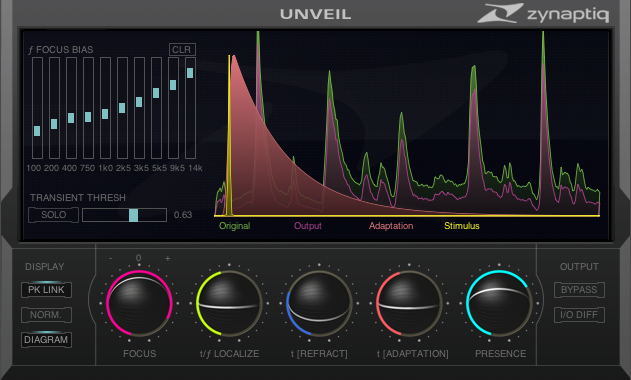 Xils-Lab Le Masque:Delay updated to v1.5 Xils-Lab has updated his Le Masque:Delay plug-in to v1.5, with a revamped and enhanced Mask handling system. [NAMM] IK iLoud Speakers and Amplifiers IK Multimedia will launch in 2013 two new iLoud portable Bluetooth speakers equipped with an iRig Interface and a amplifier with DSP. [NAMM] IK Multimedia iRig BlueBoard IK Multimedia is touring with a new MIDI controller footswitch named iRig BlueBoard that communicates through the Bluetooth technology.